I recently blogged about superfoods, explaining what they truly are and why people misunderstand them. I then got thinking about superfoods in general, which are proven to be superfoods and why. These days I pay little to no attention to the claims of superfoods - cancer-fighting properties, anti-aging and so on - because the trials the foods are put through to find these things are usually done on animals or cells, not on people. The experiments are also very long-term and so it takes a very long time for results to come from it, if any at all, and of course media in particular likes to hype up the smallest points and take all kinds of statements out of context - Cassey Ho of Bloglilates wrote a particularly perfect post about the new idea of slashing rice calories in half, complete with maths. Instead I prefer to focus only on the facts of the food: what nutrients it contains and how they match up to more common, garden-variety fruits. Baobab is one such fruit that has recently slipped into the limelight. The giant, thick-trunked African trees produce the only fruit in the world that dries on the branch, ripening like any normal fruit, but rather than dropping from the branch and spoiling, it stays up there and dries in the heat of the sun for 6 months. The skin goes hard and tough like a coconut and the inside has completely dried, so it needs only a good sieve. It requires no preservatives, no additives and isn't sprayed or freeze-dried like other fruit powders. The African sun keeps it entirely 100% natural. While this admittedly means that you can't exactly eat it like an apple, it does make it far easier to consume in other ways, and it's super easy to add to pretty much everything. What you lose in being able to just eat it, you gain with the ease of adding to smoothies, porridge, and most recipes. And what makes it a superfood? 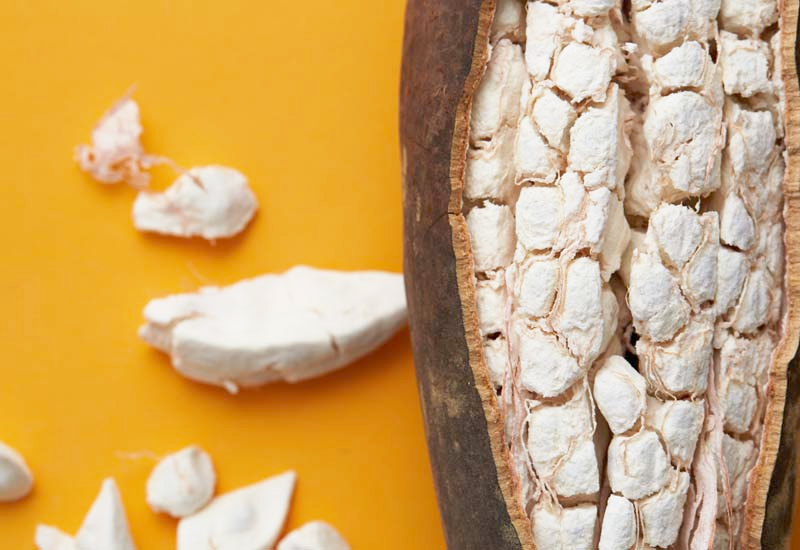 Baobab has 6 times the vitamin C of the equivalent weight of oranges, 6 times the potassium of bananas, twice the calcium of a glass of milk, is 50% fibre and a good source of vitamin B6, too! The fact that the fruit pulp - the main source of fibre in all fruit - dries and is turned into a powder means that the goodness of the whole fruit remains in tact, and that in turn is a valuable trait for both the fruit and the tree - if the tree dropped bitter or non-nutritional fruit, it would have a harder time dispersing its seeds because nothing would eat it. But what does it taste like? It's typically described as "a combination of pear, grapefruit, caramel and vanilla" according to Aduna, and I personally found it to be quite mild with a following sweeter tang. It's quite funny when you try a new fruit or food from another part of the world, you expect it to taste like something familiar, but each fruit has its own individual taste, and baobab is no different to that rule. It's actually quite delicious. Aduna is a wonderful and ethical source of baobab fruit. Baobab plantations don't exist, instead the trees are owned by communities across the 32 African countries where the trees grow, storing water in their bloated trunks to protect them against the long, dry season. Aduna source their baobab from Senegal and Ghana, the fruit harvested and collected by women's cooperatives in remote rural communities, and Aduna ensures income for these women even in the hottest and driest months when income is low. Aduna want to make baobab famous, both because the fruit is worth it and because so are the people who gather it. Not only that, but an estimated 8-10 million households can supply this fruit from a crop that already exists. No trees need be planted or moved, and the prehistoric trees have an average lifespan of around 5000 years and are perfectly adapted to their environment. Their baobab is available in tubs and sachets, as well as moringa, another African plant which is nature's multivitamin and good source of protein. They also have a wonderful raw energy bar which is similar to nakd bars, but, of course, contains baobab powder. All of this you can find in their own super simple online shop.